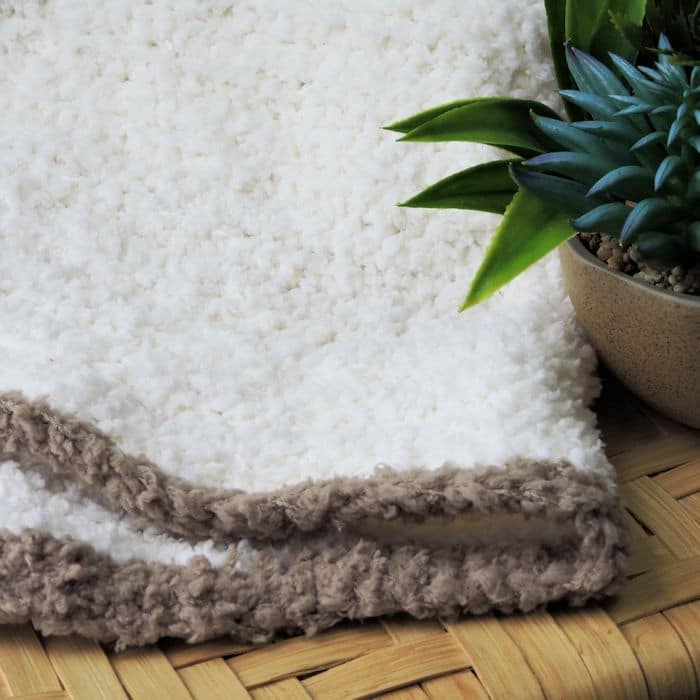 This is a lovely little blanket. It’s gorgeous for a photo prop. 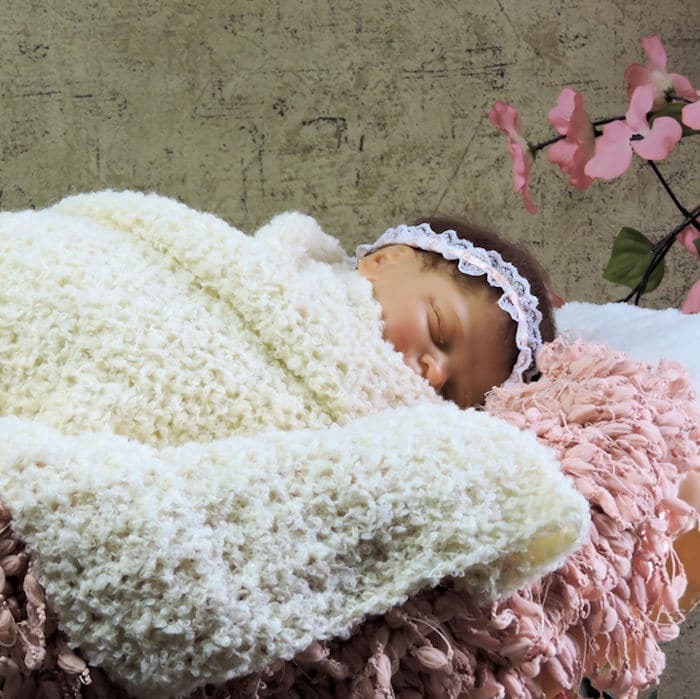 It’s lightweight, fluffy and warm and made to look like faux shearling, or sherpa. 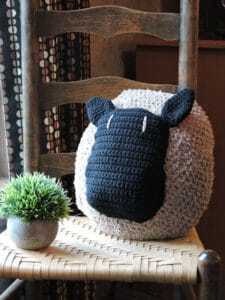 I’ve used this yarn before in my Love My Sheep Pillow. It’s so soft and squishy, softer than cotton. It’s just beautiful. The yarn used isn’t the easiest. 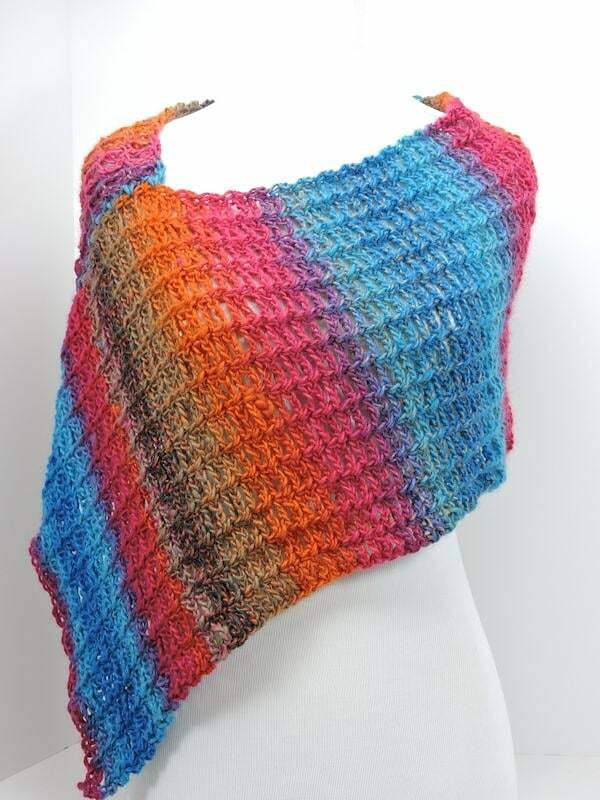 You need to stitch quite loosely and you have to use feel most of the time instead of sight. It is well worth the end result. Try to count the stitches in every row to ensure that you have the correct number. The stitch count is the important thing. 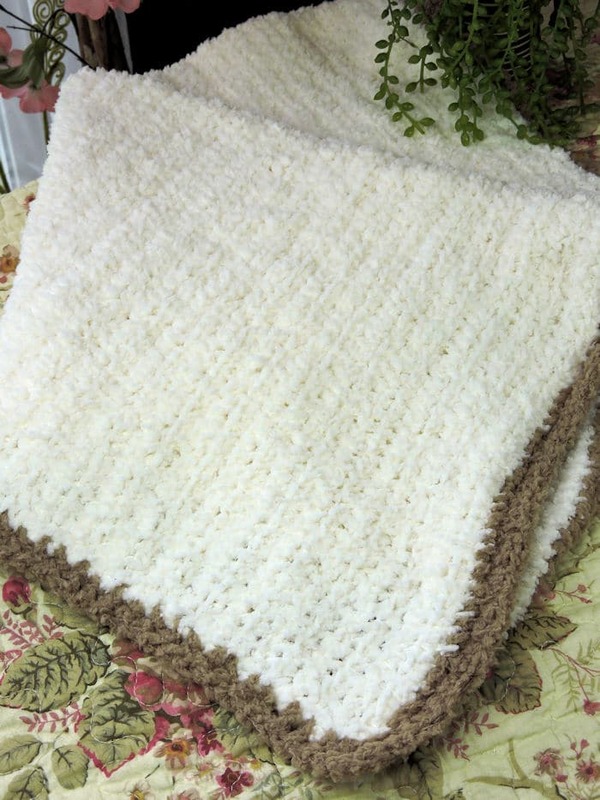 If you are off a stitch or two, just add it on the next row because, just as difficult as it may be to work with this yarn, it’s also very good at hiding any mistakes. I was able to find this yarn at Wool Warehouse. They ship to the US at reasonable rates and wonderful, friendly service. 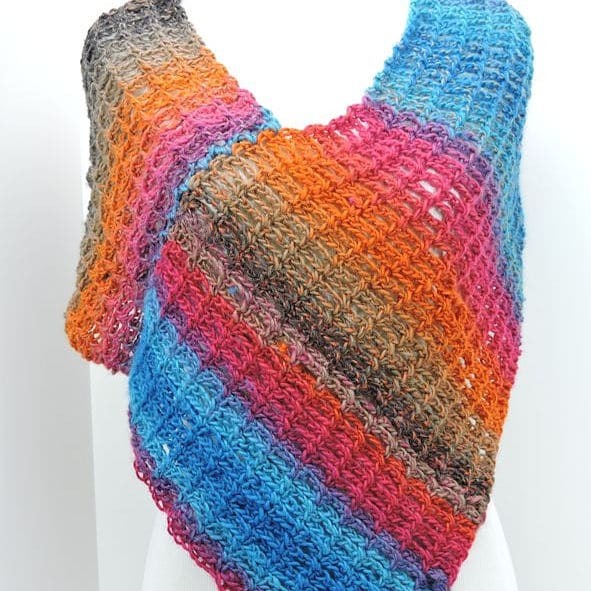 Note that this project is worked in front loop only single crochet throughout. The front loop is the one closest to you as you stitch into it. 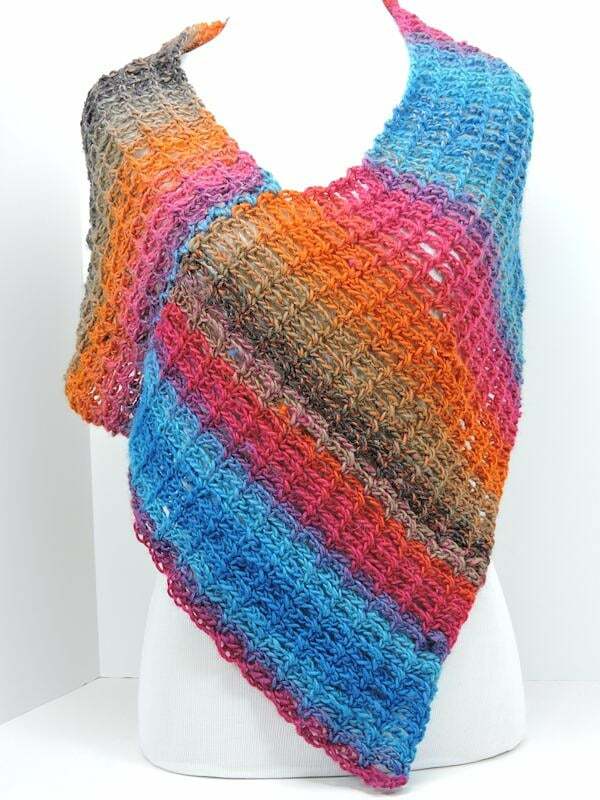 The term “front loop only” doesn’t necessarily mean the literal front loop of the single crochet. It’s the loop closest to you… at the time you make the stitch. Row 1: With Creamy, ch 81, sk first ch, sc in next ch and in each remaining ch across, turn. Row 2: Ch 1, working in front loops only (see Notes above), sc in first sc and in each remaining sc to last sc, working in both loops, sc in last sc, turn. Rows 3-60: Rep row 2, fasten off. Round 1: With Teddy, join with sl st to any corner, ch 1, 3 sc in corner, sc evenly around with 3 sc in each remaining corner, sl st to first sc. Round 2: Ch 1, sc in each sc around except 3 sc in each second sc of corner, sl st to first sc, fasten off. Looking for more fabulous photo props?